Welcome to a brand new update of Albert the Alien Chapter 2! 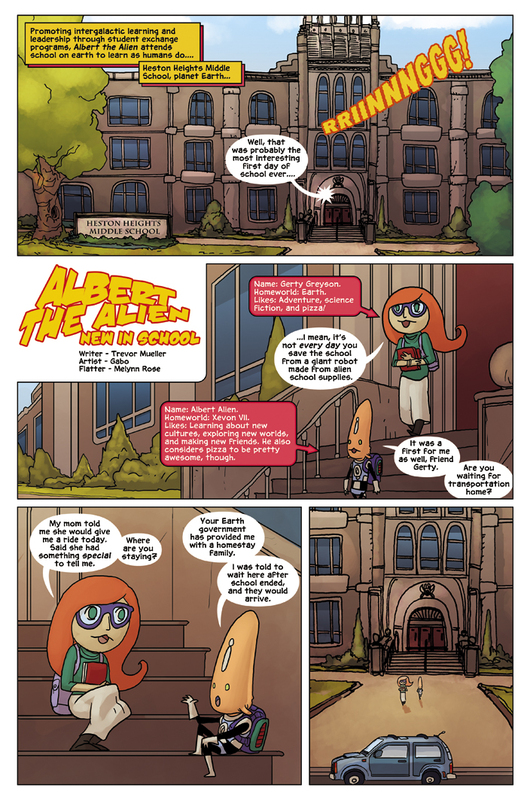 Immediately after the events of the previous issue, we see Albert and his first human friend, Gerty, exiting the school and rehashing the events on their first day of school (which took place during the entire first chapter, check it out in the archive). Albert and Gerty have become fast friends, but where do we think Albert is going to stay while here on Earth? We will find out in the next thrilling update of Albert the Alien!